It’s a SH#* job but someone has to do it! 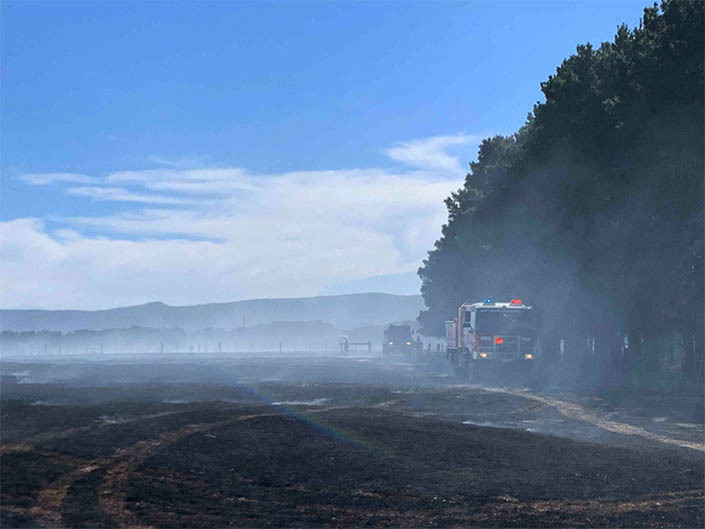 Just after 11am this morning Woodend Tanker 1 and FCV were called to a fast-moving grass and scrub fire in Bennetts Lane, Gisborne. 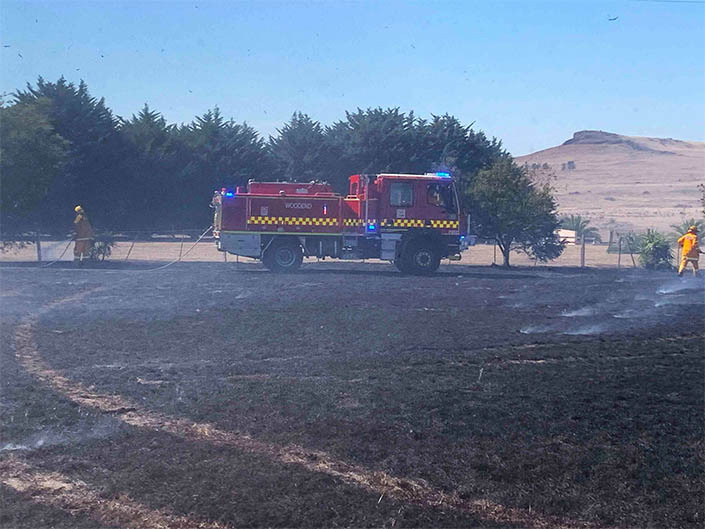 Brigades from the Macedon Ranges and beyond responded quickly and had the fire under control in no time, having spread to nearly 20 acres of pasture. Brigades remained on scene for approx 3 hours blacking out, which proved a major task with thousands of cow pads smoking away after the fire was extinguished. It is yet another brilliant example of the CFA’s ability to respond promptly and efficiently to a major emergency, especially in the middle of a working day, with more than 100 volunteers and nearly 30 vehicles quickly on scene. Police and a Fire Investigator were called to the scene. It just proves that the Fire Danger Period is far from over.